VNRE – Since its beginnings in 1985 as a textile firm in the province of Thai Binh, Bitexco has become a successful multi-industry corporation. It covers real estate investment and development, hydro-power plants, infrastructure, mining and mineral water production. The Bitexco Group has over 1.100 employees with offices in Ha Noi, Ho Chi Minh City and Thai Binh. Bitexco began to diversify and expand its business in 1997 in the production of mineral water. The company has invested heavily in modern machinery and equipment for building and developing the brand “Vital” to become the first brand of mineral water in Vietnam, which was first produced by Italian technologies meet the high European quality standards. In the real estate sector, from 2000, Bitexco has developed various high-profile projects in Hanoi and Ho Chi Minh City. Examples in Hanoi are The Manor and The Garden; while in Ho Chi Minh City there is the Bitexco Office Building, The Manor I, The Manor II and the 68-storey Bitexco Financial Tower. Other major projects underway include the J.W. Marriott Hotel and Hoang Mai Urban Complex in Hanoi, in Lao Cai The Manor Eco+ and Sapa Resort & Holiday Apartments, in Thanh Hoa the New Centre, and in Ho Chi Minh City the Nguyen Cu Trinh Residential Complex and Ben Thanh Towers. Bitexco has always strived for growth and prosperity. Its reputation in Vietnam is based on its sustainable development and global perspective. The key to its success is the vision of its leaders, combined with the reliability of its business partners and the loyalty of its patrons. Bitexco’s goal is to become the top corporation in Vietnam, an internationally competitive enterprise that exceeds the expectations of its customers with its care for quality and state-of-the-art products and services. The Bitexco Group will always be in the vanguard of Vietnamese corporate life. We continually strive for growth and set ourselves international benchmarks for every project we undertake. Only the highest standards are acceptable for both our people and our companies. Contributing to Vietnam’s economic development and improving the quality of life for the country’s people is central to our philosophy. As a player on the international stage, The Bitexco Group is responsible for advancing national interests and promoting the image of Vietnam around the world as a dynamic, prosperous nation. In a rapidly modernizing world, sustainable development at both home and abroad will always be a priority. – Hanoi Office: 1st Floor, The Manor Towers, My Dinh, Me Tri, Tu Liem, Ha Noi. – Hochiminh City Office: 19th Floor, Bitexco Office Building, 19-25 Nguyen Hue, District 1, Ho Chi Minh City. – Thai Binh Office: 102 Quang Trung, Thai Binh Province. VNRE – Vingroup officially joined the World Economic Forum (WEF) and became a member of the Global Growth Companies (GGC). This giant step is an assertion of the passionately pioneering position and competency of a leading real estate company in Vietnam. Vietnam Business Forum interviewed Mr Le Khac Hiep, Vice President of Vietnam Investment Group JSC (Vingroup), on the group’s operations and development orientations. Thanh Binh reports. Could you briefly introduce Vingroup, after 19 years of development? Vingroup, which was initially called Technocom, was set up on August 8, 1993 in Kharkov City, Ukraine. The founders were very young, active and enthusiastic Vietnamese students. With in-depth market surveys, research and knowledge, the company installed the two first production lines and employed 35 workers in 1995 to produce Mivina-branded noodles. After three years, from 1995 to 1998, the company’s production output reached 1 million packages. The company was branded a trailblazer of the Ukrainian fast food market. Despite fierce competition from Ukrainian and international corporations, Mivina brand noodles held 98 percent of the instant noodle market, over 95 percent of the instant potato market and over 50 percent of the spice market in Ukraine in 2009. The company also exported its products to 30 countries in the world, raking in nearly US$150 million a year on average revenue. The Group’s assets in Ukraine are estimated at hundreds of millions of US dollars, its name is known to more than 95 percent of population, and its products are consumed by more than 75 percent of population. With its tremendous success and huge contributions to the Vietnamese community in Kharkov in particular and in Ukraine in general, Vingroup has been honoured with more than 200 national, international medals and awards, including Nikolai Medal, Choice of the Year Award, Excellent Quality Award, European Quality Award, etc. After making great success in Ukraine, with living hearts that beat in rhythm with the homeland, Vingroup leadership decided to invest in big projects in Vietnam since 2000, with two first brand names – property company, Vincom, and tourism company, Vinpearl. Vincom-trademarked construction projects like Vincom Center Hanoi and Vincom Center Ho Chi Minh City or big projects undertaken by Vincom like Royal City, Times City and specially Vincom Village always catch the interest of domestic and foreign investors and have strong impacts on the Vietnamese real estate market. Together with that, Vinpearl Joint Stock Company has become a leading name in the hotel and tourism industry with the Vinpearl Nha Trang amusement complex, Vinpearl Resort Nha Trang, Vinpearl Land, Vinpearl Luxury Nha Trang hotels and island Vinpearl Golf Club course. The Vinpearl hotel system has been expanded to other places of interest like Vinpearl Luxury Da Nang, Vinpearl Resort Hoi An, and Vinpearl Luxury Saigon. With strong and sustainable development, listed on the Ho Chi Minh City Stock Exchange, Vincom Joint Stock Company (VIC) and Vinpearl Joint Stock Company (VPL) are always among the Top 10 stocks in market capitalisation. At present, Vincom has a charter capital of over VND3,900 billion and a market capitalisation value of VND35,000 billion, and Vinpearl has a charter capital of VND2,000 billion and a market capitalisation value of VND16,000 billion. After the two merge, Vingroup will one of the largest listed real estate companies in Vietnam. What makes Vingroup a successful brand? The success of Vingroup is accrued from many factors. The first and most important is to know how to seize opportunity and realise it. In Ukraine, when Vingroup was established, this country was experiencing a very tough time as a result of a transition from a centrally planned economy to a market economy. Inflation galloped, factories closed, and unemployment escalated. This transitional period offers a plenty of opportunities for future growth and the group’s founders successfully grasped them. When the Group began its investment in Vietnam in 2000, the Vietnamese economy had been shaken by the Asian financial crisis and started recovery. At that time, the real estate market was still an “open door” and the opportunity once again knocked for Vingroup. But, I must note that, to make investment and business plans successful and have our current development, we must have the categorical dedication of the entire group. The final factor to our success that we cannot forget is the support and cooperation of central and local authorities in Ukraine and Vietnam. To obtain this support, since its incorporation, Vingroup has defined that it will become a healthily developing enterprise and contribute to social development activities, as well as promote corporate social responsibility. Recently, Vingroup was officially admitted to WEF and GGC. How does this mean to Vingroup in particular and Vietnamese brands in general? On July 1, 2011, Vingroup officially joined the World Economic Forum (WEF) and became a member of Global Growth Companies (GGC). 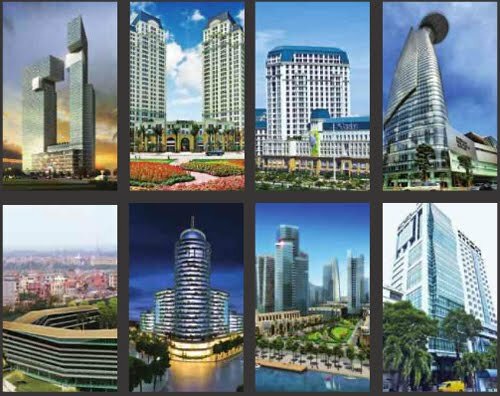 For Vingroup, becoming one of 300 leading international corporations in the prestigious WEF community is a giant step that asserts its passionately pioneering position and competency as a leading real estate company in Vietnam. This may be called a certification for Vingroup’s position on the international arena and a passport for Vingroup to reach the open sea. Without doubt, WEF is the most prestigious global economic forum that brings together leaders of developed economies, corporations and top-notch scholars all over the world. Becoming a part of WEF, Vingroup is entitled to join and address regional and global issues. More specifically, we have the opportunity to access sources of information on volatility forecasts or economic, social and political development in each country and the region to define development demand opportunities and cooperate with big international partners in pursuit of mutual cooperation and development. Playing on the ‘global arena’ means facing more challenges. Does Vingroup have the appropriate tactics to assert its position on the international arena? Would you be kind enough to share the central objectives of Vingroup’s development strategy for the coming time? That’s right. Playing on the global arena requires us to have innovative policies and strategies. Thus, Vingroup is merging Vinpearl Joint Stock Company in to Vincom Joint Stock Company. The amalgamation of two leading brands, Vincom with the real estate business and Vinpearl with tourism, resort and entertainment services, will surely create a new resilience for the market and continue substantiating and enhancing the global profile of Vingroup. Vingroup will become a property and tourism group with a charter capital of nearly VND5,500 billion and the largest market capitalisation in the Vietnamese stock market. Presently, Vingroup is developing four strategic brand groups: Vincom (real estate), Vinpearl (tourism and entertainment), Vincharm (beauty and health care) and Vinmec (high-grade medical services). In addition, internationalising service quality is also an important objective Vingroup is pursuing in order to provide perfect products and services to compete with international groups. VNRE – Who in this world does not need the long-term security of a comfortable home, a meaningful life and a nurturing community? 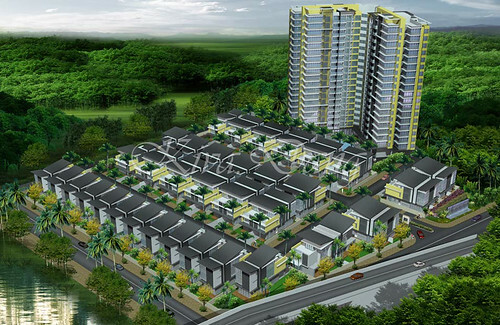 S P Setia is here to provide townships, residential estates, high-rise residences and commercial properties that fulfill this need. We are here for investors and owners alike, now and in the future. 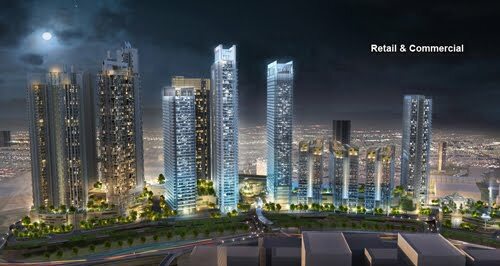 As a “Builder of Distinction,” Malaysian real estate developer S P Setia is the market leader in property development, with a sterling reputation for integrity, quality and innovation. Our portfolio encompasses townships, eco sanctuaries, luxury enclaves, high-rise residences and commercial developments. LiveLearnWorkPlay expresses our development philosophy. These four simple words encompass the scope of human activity. By basing every project on this philosophy, we are creating meaningful environments and long-term value for our customers. While our efforts have been recognized both locally and internationally in the form of numerous awards, our greatest reward is receiving the trust of over 100,000 homeowners who have chosen to live in our developments throughout Malaysia. In 2007, S P Setia teamed up with Becamex IDC, Vietnam’s top state-owned conglomerate, to develop EcoLakes My Phuoc, a ground-breaking eco sanctuary 30 km outside Ho Chi Minh City, This maiden venture was very well-received, garnering not just local and international awards but also overwhelming support from homeowners and investors alike. Subsequently in 2011, S P Setia launched EcoXuan, a signature enclave in Lai Thieu, at the northern gateway of Ho Chi Minh City. As an extension of the LiveLearnWorkPlay philosophy, EcoXuan offers a holistic and sustainable lifestyle in a lush garden setting. S P Setia also has a presence in Australia, China and Singapore. Our mission, as always, is to create meaningful environments for all. VNRE – VinaLiving is Vietnam’s first lifestyle and tailored-living brand, bringing unique, integrated residential communities to customers across a range of market segments. From the highest level of luxury report villas set amongst the dunes of the Danang Beach Resort, to affordable, quality townhouses in suburban settings like My Gia Township, VinaLiving is creating the types of community long sought after by Vietnamese families from all walks of life. VinaLiving projects, developed by VinaCapital, benefit from prime locations and contemporary designs that perfectly balance natural environments with modem amenities. VinaLiving believes it customers want more than a house – they want a lifestyle and a community that reflects their values and aspirations. From young family ‘starter homes’ to fully serviced luxury villas, Vinaliving products are within reach of almost all professional Vietnamese who have the desire to own an international standard home. VinaLiving has launched developments in Ho Chi Minh City, Nha Trang and Danang that have met with great initial success. The market has already recognized the world-class build quality, innovative designs and superior locations of VinaLiving offerings. VinaLiving is backed by VinaCapital, the leading name among financial services and real estate groups in Vietnam. Danang Beach resort – The Ocean Villas, The Cham Condominium, Norman Estates Villas and The Dune Residences. Danang Beach Resort is Vietnam’s first truly integrated luxury resort development, located on the beach voted one of the six most beautiful beached in the world by Forbes magazine. The Resort incorporates The Ocean Villas, The Cham Condominium, Norman Estates and the Dune Residences, and is equipped with premier facilities that include an 18-hole golf course designed by golf legend Greg Norman and recently rated as 1 of the top 15 new courses in the world by 2010 (Courses and Travel, 2010). 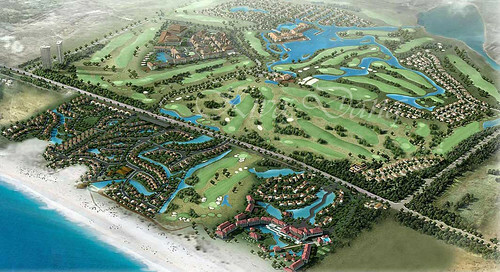 Most of the Ocean Villas have sold, with the Cham sales now underway and the Dunes Residences and Norman Estates to launch in early 2011. Azura is the first residential component of World Trade Center Danang, The project features 225 condominiums, over 32 levels, ranging from one to four bedroom in configuration. Construction is well advanced and sales are underway. The Garland is a boutique residential project located in District 9, an emerging business and commercial area of Ho Chi Minh City. The development features 53 detached and semi-detached villas within a gated community. The Garland exemplifies a modern, contemporary lifestyle in the heart of an urban city. The villa sales launched in January 2010 with 4 villas remaining for sale. Dai Phuoc Lotus is a landmark resort-style urban development project covering 200 hectares on an island in a section of the Saigon River. 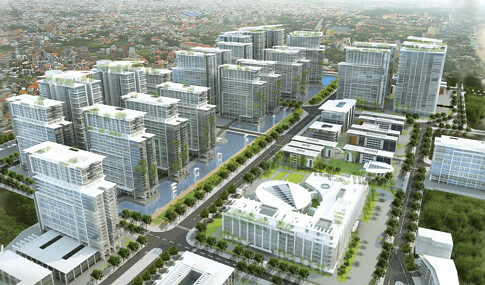 The island township is strategically located between Ho Chi Minh City and the future Long Thanh International Airport. Offering a luxurious and contemporary lifestyle and surrounded by lush greenery, the development combines the best in ecological planning, creative design and modern living comforts, Phase I comprises 332 semi-detached and detached villas from 2 to 5 bedrooms in configuration, with sales underway and over 35% sold to date; an impressive number given the fact that the project will not be officially launched unit April 2010. With VinaLiving and its projects, we can believe in a brighter future. VinaLiving will be continuingly building the products that create better lifestyles and living environment for Vietnamese people. 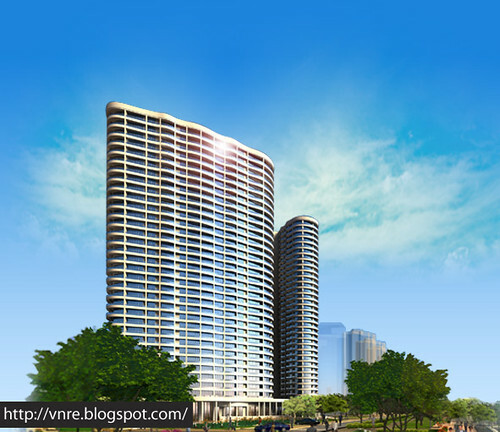 VNRE – Van Phu Invest was founded in 2003 by the Decision No. 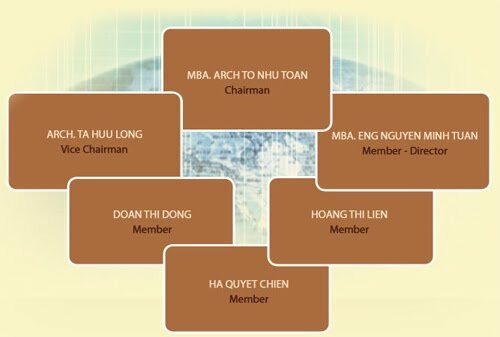 620/QĐ-UB of Hanoi People’s Committee as Hanoi branch of Quang Ninh Investment Construction House Trading – a state-owned enterprise, independently operated in investment consulting, construction and real estate development. After five years of operation, by the internal requirements and following the growth tendency of the country, in 2008, leaders of the organization officially put its operation into a new model as of a 100% private capital joint-stock company, named Van Phu-Invest JSC. Almost a decade of growth, Van Phu-Invest has become a strong and prestigious company with business activities across the country. Being a company with over 200 employees well trained domestically and internationally, Van Phu-Invest has sufficient capacity of knowledge and finance to create quality products and services. With a throughout orientation of development as large in scale and professional in business, developing the company in parallel with the development of the society, Van Phu – Invest has become a popular choice for partners and customers. – To provide quality real estate products to meet the diverse demand of society. – To create values for society by sharing corporate achievement. – Internationally and comprehensively cooperated in investment capital and technology. – Applying advanced techniques and materials, contributing to environmental protection. – Continuously develop human resources, creating a professional working culture. Van Phu Invest has become a strong and prestigious company with business activities across the country. Being a company with a good team of engineer, architectures and other employees well trained domestically and internationally, Van Phu – Invest has sufficient capacity of knowledge and finance to create quality products and services and has become a popular choice for partners and customers. – Real estate Investment and Development. – Real estate manangement and trading. – Design, construction and management of civil works, industrial, transportation and irrigation projects. – Manufacturing and trading of furniture, interior works. – Mining and Mineral exploitation. The Company has ceaselessly developed and invested in many real estate projects in the major cities and become one of the leading real estate investment companies. Today, Phat Dat continuously expands its scope of investment on many real estate projects in HCMC and other areas in Vietnam. We are aiming to become one of the leading high-class real estate developers and investors in Vietnam. The well-established brand name, “Phat Dat”, has been being acknowledged gradually, starting with the echo – called “The EverRich” – a High-rise Commercial & Apartment Building Project on 3/2 Street, HCMC – which is considered to symbolize for the trust and quality of Phat Dat Corporation. – 2004: coordinated and invested in some projects such as Trung Son residential area in Binh Chanh District, Sao Mai high-grade apartment area in District 5. – 2006: started The EverRich I project in District 11 with the total investment capital is 1,100 billion Vietnam dongs, two 20-floor buildings with 300 high-grade apartments and 50 offices. – 2007: continuously built and promoted EverRich I project, focused on some other new projects in District 5, District 6, District 7, District 9, Nha Be – Hochiminh city . – 2008: invested in tourism real estase with the establishment of a serie of luxury hotel, resort in Cam Ranh, Hoi An and Phu Quoc. Extraordinary, Phat Dat signed a transaction with Starwood to execute to the Westin Resort & Spa Cam Ranh in Khanh Hoa province. – 2009: completed and transferred The EverRich I Apartment building on 15 November 2009, this is the first crucial landmark in the investment strategy in the EverRich high-grade Apartment Project. – 2010: Phat Dat commenced The EverRich II project which is a large scale project with 3.125 apartments and total investment capital of 11,000 billion Vietnam dongs. In addition, Phat Dat started the building construction of Phu Thuan Bridge which connects Phu My Hung and The EverRich III. To be the leading real estate investment and development corporation in Vietnam. To create modern, valuable living spaces, fully meet the requirements of customers, conformity with urban development. To ceaselessly develop the company to bring the utmost benefit to our shareholders, employees and contribute positively to the community. Phat Dat leaders and staff are constantly creative, unitive, collaborative to build a professional, effective and friendly working environment. Phat Dat always operates on the basic of respect, integrity and fairness; promotes high spirit of responsibility, discipline and responsiveness; creates better value to win lasting trust from our customers in the process of our development. VNRE – With its spirit and a thirst for pioneering, Vincom Joint Stock Company strives to be a leading business group in Vietnam, with a strategic focus on real estate investment and a desire to establish the Company as a brand name of international stature. 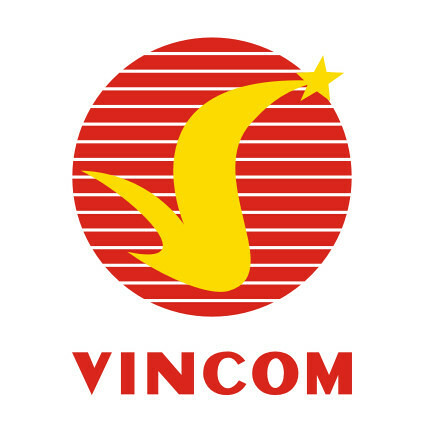 Vincom Joint Stock company (formerly the Vietnam General Commercial Joint-stock Company) was officially established on 3 May 2002. After more than 8 years in operation, Vincom Joint Stock company has become one of the largest players in the property market in Vietnam. a large number of real estate projects with Vincom brand name are successively implemented successively in big cities of Vietnam. Such projects are the centre of attention and highly evaluated by the investors. In the upcoming time, a mass of Vincom significant works shall appear nationwide, contributing to build the country of Vietnam: Dynamic, Modern and Developed. The objective of Vincom is to strive ceaselessly to gradually become the leading investment and property group with Vietnamese brand name in Vietnam. The strategy of Vincom is to focus on the high-class property market in order to meet the growth and international integration demand of Vietnam. It is sure that a series of Vincom huge works will spring up all over the country, contributing to build a dynamic, modern and developed Vietnam. As a part of its strategy to be the leading brand name in the high-end real estate sector in Vietnam, operating under a group model, Vincom has engaged in a series of new and exciting projects in Hanoi and Ho Chi Minh City. Vincom JSC made capital contributions to a number of large real estate companies in Hanoi and acquired controlling stake in projects such as Royal City Real Estate Investment and Development Joint-stock Company, Sai Dong Investment and Urban Development Joint-stock Company and Viettronics Real Estate Limited Liability Company. Promoting existing domestic advantages and prestige to gradually approach and expand its property business to South East Asia and Asia regions, creating an image as a dynamic and growing Vietnamese property group. Striving for making Vincom become a powerful economic group with diversified business lines such as finance – banking, entertainment area investment, eco-tourism, international standard golf course and luxurious resorts. During eight years of development and growth, up to now, the Company has built itself a brand and a firm position in the field of real estate and service supply. In 2007 and the first half of 2008 were the periods marking important events and the great steps of the Company. In addition to financial success, the Company also was honored with many big awards in the field of culture and society. With the goal of becoming one of the leading brands in Vietnam in the field of real estate, the Company has and will continue striving to reap more success for itself and satisfy the needs of development as well as international integration of Vietnam. 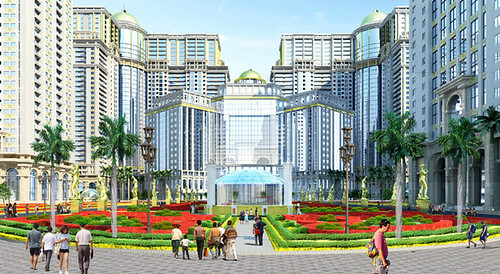 PFV JSC: Main activities of PFV are construction of shopping centers, offices for rent and apartments for sale.PFV is the investor of Vincom Park Palace project at No. 114, Mai Hac De Street, Hanoi. Vincom has got 74.41% voting rights in PFV. Hai Phong Real Estate Company: HaiphongReal received the certificate of land use rights of 9,125 m2 located at No.4, Le Thanh Tong Street, May To Ward, Ngo Quyen District, Hai Phong City. Vincom has got 90% voting rights in Haiphong Real. Royal City Real Estate Investment and Development JSC: Main activities of RoyalCityReal are included real estate business, civilian constructions, hospitality and entertainment services.Vincom has got 51% voting rights in RoyalCityReal. Sai Dong Urban Investment and Development JSC: Main activities of SaiDongJSC are included real estate business, civilian construction, hospitality and entertainment services. Vincom has got 51% voting rights in SaiDongJSC. Viettronics Real Estate JSC: Main activities of Viettronics are included real estate business, civilian construction, hospitality and entertainment services. Vincom has got 64% voting rights in Viettronics. Lucky Investment Group Jsc. Located in Nha Trang – Khanh Hoa Province: Main activities of LuckyInvest are real estate business and financial investment consulting. Vincom has got 66% voting rights in LuckyInvest. Hanoi South Urban Development JSC: HanoiSouth Urban Development JSC had been licenced to develop the real estate project at No. 460, Minh Khai Street, Hai Ba Trung District, Hanoi. Vincom has got 55.95% voting rights in HanoiSouthJSC. Merit granted by the National Committee for International Economic Cooperation for Excellent Performance in Brand name building and developing and Economic Integration. Merit granted by the Chairman of Hanoi People’s Committee for Excellent Contribution to the Successful Organization of The ASEAN Capitals Business Forum (ACBF) and contribution to the development of Hanoi. Certificate “Vincom City Towers – Top Shopping Services in 2006 “ according to the survey on readers and consumers in 2006 conducted by the Vietnam Economic Times and the Consumer Consulting Magazine. Certificate for being Gold Sponsor of the “Justice and Heart” Program on the occasion of Vietnamese Agent Orange victims’ Day.